Want a unique website for your business? 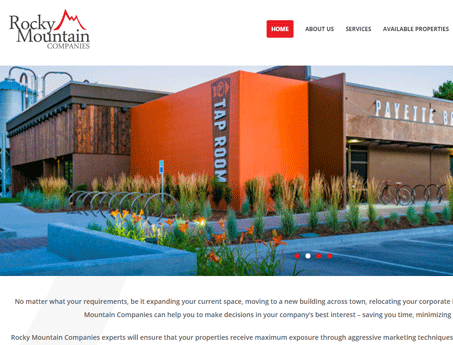 I’ve been designing commercial real estate websites since 2006. Since then, I have been consistently updating the way I develop websites to meet with today’s demands. Whether it’s video, animations, IDX integrations, or other custom elements, I can provide! Package includes SEO optimization, 1 eBook (choose from 4 available), Content written for you, Design in Photoshop, WordPress, and much more! Five steps that will restructure your website into a lead generating machine. Tips on calls-to-action that work, follow-up automation, generating traffic, optimization, trust-building on the internet, and more! Get Half of your Deposit Refunded if you Don’t Go Live. 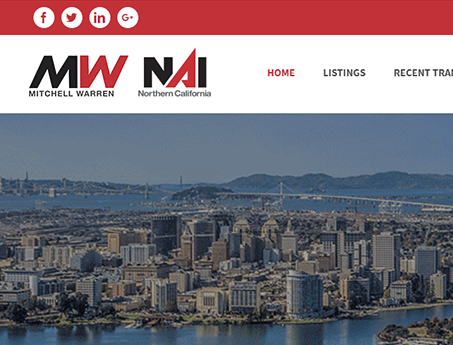 Kent Mitchell and Tim Warren are a team within NAI Northern California. Brokerage services for multi-family, retail and office. They are using the CRE Plugin, sliders, and CSS animations. 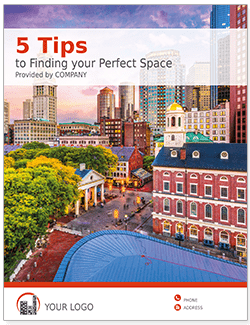 Verita Real Estate is a brokerage and property management company in Massachusetts. They are using the CRE Plugin, sliders, Mailchimp integration and CSS animations. 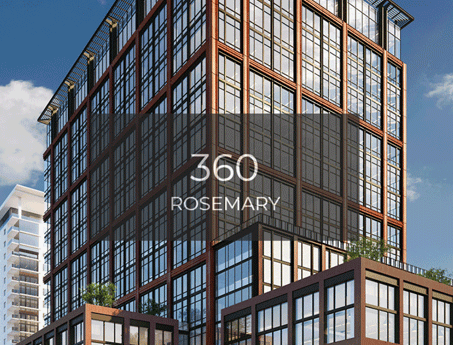 360 Rosemary is an office development in West Palm Beach, Florida. Home page has a zoom animation effect, image heavy design, community and area information. 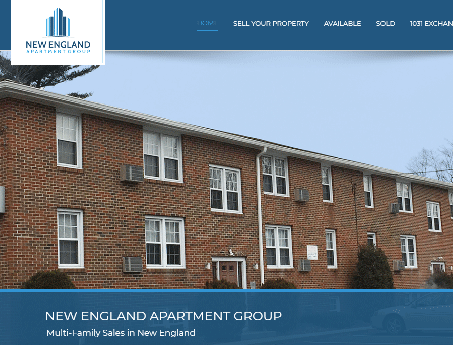 Commercial real estate brokerage in New England area focusing on multifamily investments. Uses Calico Marketing’s proprietary software to show listings. All contact forms and listing forms are integrated with HubSpot for database collection and tracking. Commercial real estate team in Houston, Texas. 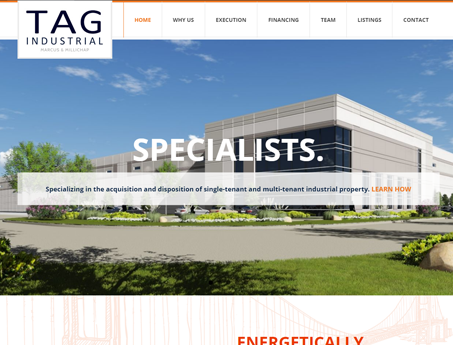 Focuses on selling and purchasing industrial properties and advisory services. Listings are being shown with a customized version of Calico’s proprietary plugin. 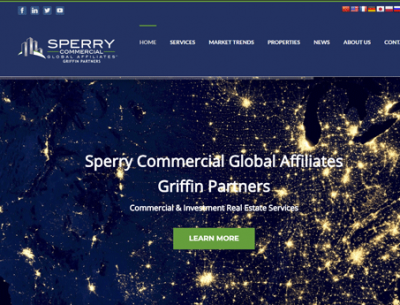 Sperry CGA affiliated commercial real estate firm in South Carolina. Specialties include industrial, office, retail, income property and land. Listings are being shown with Build Out’s integration. 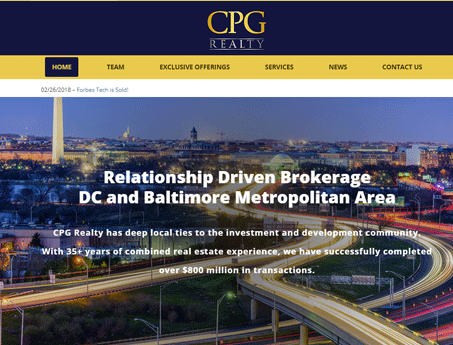 Commercial real estate brokerage in DC and Baltimore. Focuses on investment sales, land purchasing, leasing vacant space, and tenant rep. Uses Calico Marketing’s proprietary software to show listings. 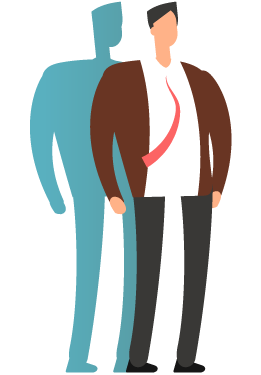 All contact forms and listing forms are integrated with their Mailchimp account for hands-off database collection. 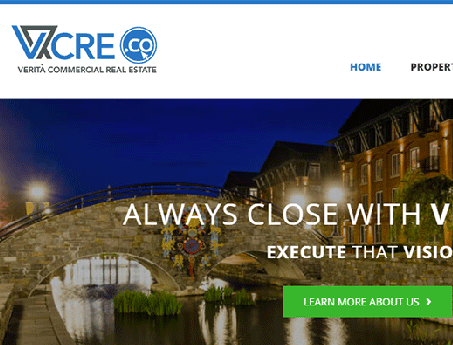 Commercial real estate brokerage in Boise, ID. Focuses on development, property management, brokerage, hospitality and express car washes. Listings are being shown with a LoopNet’s free widget. 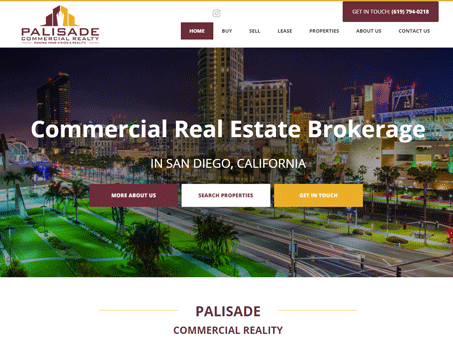 Commercial real estate brokerage in San Diego, California. Focuses on investors, landlords and tenant representation. 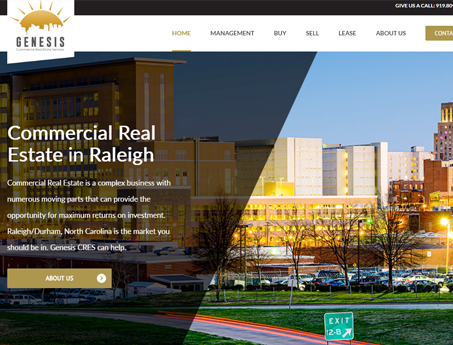 Commercial real estate brokerage in Raleigh, North Carolina. Focuses on property management, brokerage, leasing and advisory services. Single Parallax Page. 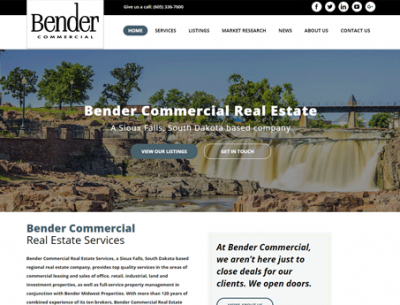 Commercial real estate brokerage in South Dakota. Focuses on buying, selling and leasing commercial real estate property. Multiple lead capture points and fully integrated with Active Campaign. 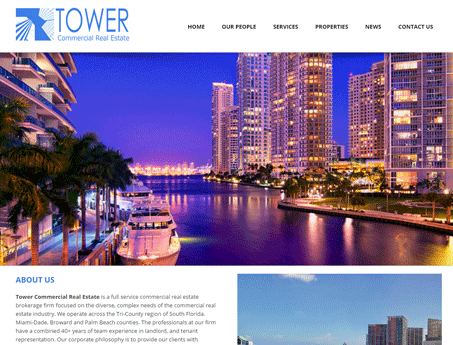 Tower Commercial Real Estate is a brokerage in Southern Florida. Focuses on their services in Landlord and Tenant Rep. Listings are integrated with LoopNet’s LoopLink. 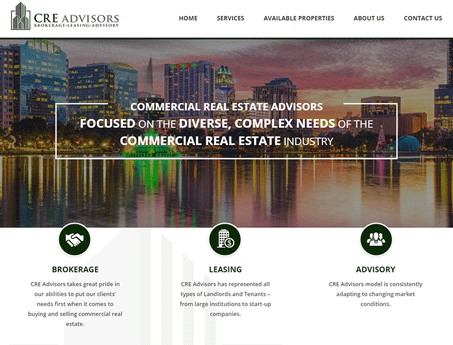 Commercial real estate brokerage in Winter Park, Florida. Focuses on brokerage, leasing and advisory services. Listings are integrated with Xceligent. Commercial real estate brokerage in Dallas, Texas. Focuses on brokerage, leasing and advisory services. 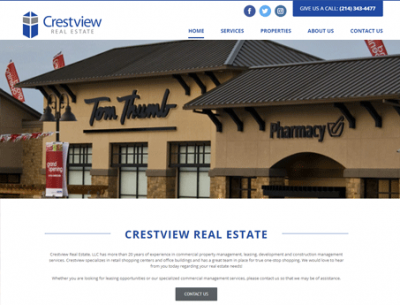 Listings are being shown with our CRE Listings Plugin. 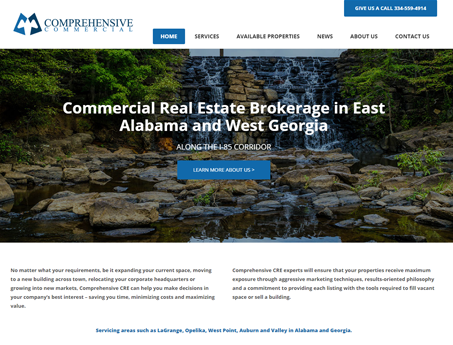 Commercial real estate brokerage in La Grange, Georgia. 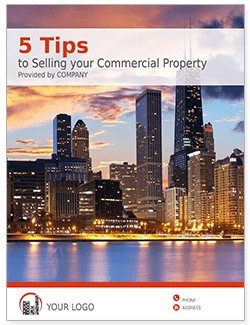 Focuses on buying selling and leasing commercial property. Using LoopNet’s free widget to display listings. 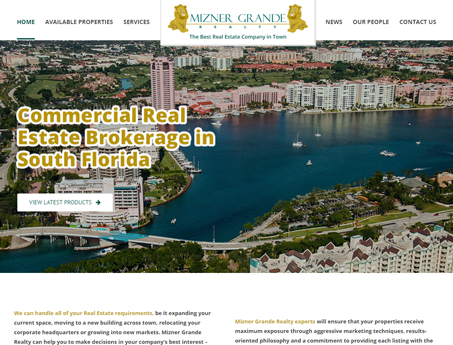 Commercial real estate brokerage in Southern Florida. 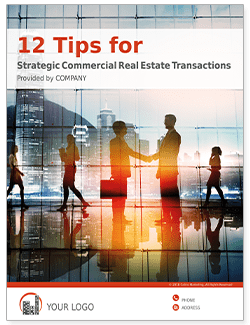 Focuses on buying, selling and leasing commercial real estate property. Lead Package has PDF download in exchange for client info, system integrated with Offer Boss. 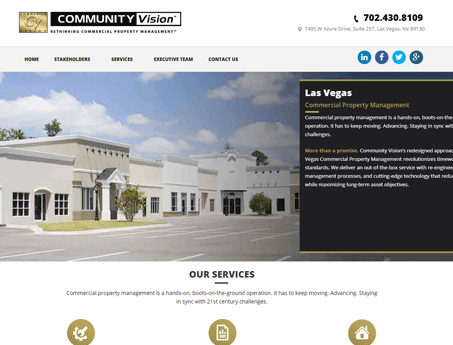 Community Vision is a commercial property management company in Las Vegas, Nevada. 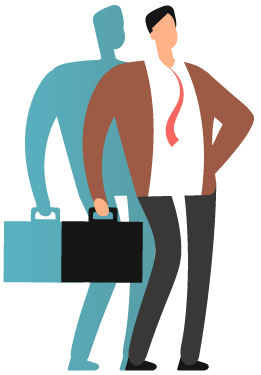 They focus on their unique selling proposition and services regarding property management. 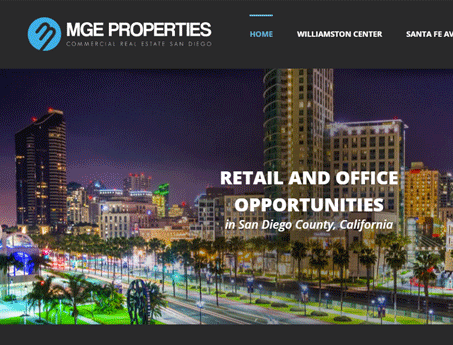 MGE Properties is owned by a commercial real estate investor in San Diego, California. Focuses on advertising his properties for lease and past deals. Only available through Calico Marketing! Choice of 1 eBook Included! I used several other website design companies before deciding on Calico Marketing for my online marketing. 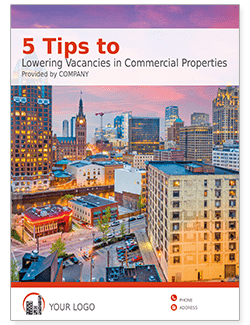 I had specific needs for my commercial real estate business including an easy way to filter through my 50+ listings. Calico Marketing designed my website in 2013. Since then, Brandy has been updating my website with new listings and providing updates. Calico Marketing did a complete redesign in 2016 and they continue to update and enter all my listings. This is a great long-term solution for my business’s online marketing. Calico Marketing has been instrumental in taking my small business model to a large and growing business through the Website and EBlasts. The professional website that Calico Marketing created continues to provide my business with a professional appearance and allows my business to grow and prosper, where competitors have not. In addition, the costs of services have proven much more economical than other marketing companies. 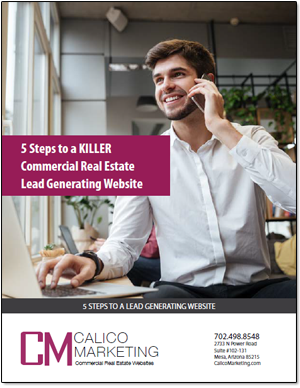 I would highly recommend Calico Marketing to any real estate professional! Calico Marketing created a custom website design from our mock-ups and has been providing consistent updates and revisions since 2014. The quality and fast turnaround time far exceeds my expectations! I have worked with Brandy since 2011. She does an outstanding job producing and maintaining websites for Odyssey Real Estate Capital. Her work is good looking, prompt and very, very cost competitive. Brandy has excellent intuition in delivering web support. Brandy has been a great asset to us. We are a smaller scale real estate company and it just doesn’t make sense for us to have a marketing person on staff. Fortunately, Brandy has filled that void for us. She is like having our own in-house marketing department and has created everything for our small company, including a really smart website. We plan on relying on Brandy for years to come. We are extremely happy with our sleek, and modern website. Designed completely custom to our needs, our website includes a fully automated integration with LoopLink. Calico Marketing is continually used for our site updates and edits which are turned around quickly. We confidently refer Calico Marketing services to our current and prospective clients. My website design needs were extremely complex and had to fit within the Marcus & Millichap branding. 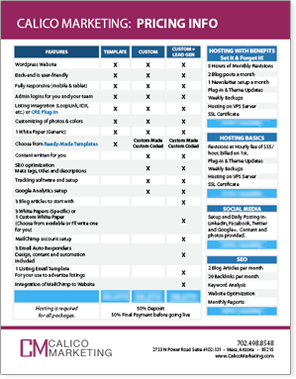 We worked closely on the design and coding process, including custom programming on the commercial listing plugin. I’ve been tremendously happy with the results! My website seamlessly matches what was envisioned and the website’s back-end functionality is easy for me to manage myself. Brandy went above and beyond the normal scope of our website project. 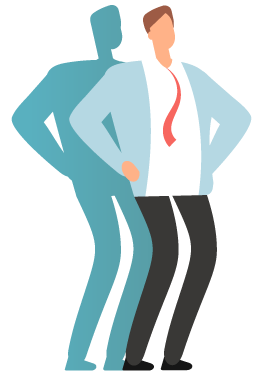 We had several technical issues with our domain that led to transferring our domain onto two different servers, along with a full database reset. Even though she had already accepted the final payment, she continued working on the project until it was 100% complete. We appreciate the high-end technical support and due diligence! Brandy Quick was hired to handle the marketing for NAI-Horizon, with offices in both Phoenix and Las Vegas. When I decided to open my own CRE brokerage, she continued designing my websites and email blasts. Since I first opened my brokerage, I’ve had several websites designed. Calico Marketing has been a great long-term and cost effective solution for my business. We are very happy with Calico Marketing’s quality and timeliness of the website design process! The custom design fits perfectly within our branding. After the website was finished additional revisions have been done quickly and flawlessly! We’ve continued using Calico Marketing for our graphic design projects and plan on ordering more work in the future. I’m Sold, Get Pricing Now!